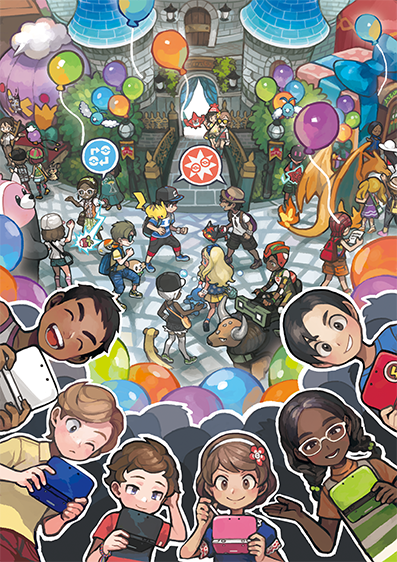 The Festival Plaza is a brand new feature that was introduced into Pokémon Sun and Moon. Here, you can connect with other players both locally and through the Internet to interact, battle, trade and take part in missions. You also have facilities, which are places that offer services for a currency called Festival Points (FP). Some include bingo, EV training for your Pokémon, and restaurants for raising your Pokémons happiness. Festival Points is the currency that you use in the Festival Plaza. There are a number of different ways you can obtain Festival Points including Missions, Global Missions, doing requests for your guests and obtaining points after doing trades. Once you obtain a certain quota of points, your Festival Plaza will rank up and Sophocles will give you a gift of a facility to put in your Festival Plaza. You also use Festival Points to spend in your facilities. Missions are where you and/or other people work together to complete tasks. In order to compete in these missions, you will need Festival Tickets. The woman outside the castle will give you 3 tickets every day and you can talk to her to host a mission. There is another type of mission called Global Missions. This is were you and and people from all over the globe come to work together to complete a mission. These missions are usually every month and the Festival Points can vary based on whether you achieve your target or not. If you have a Pokémon Global Link account (PGL) tied to your game, you can get more bonuses if you complete a personal target.